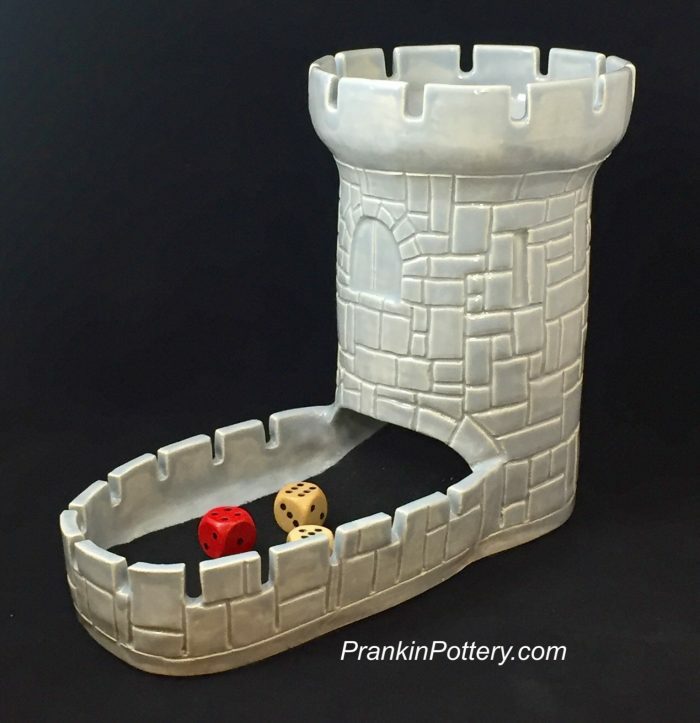 The Castle Dice Tower is individually hand built with clay that has been kiln fired and features a glossy gray glaze that beautifully shows off its hand carved textured design. 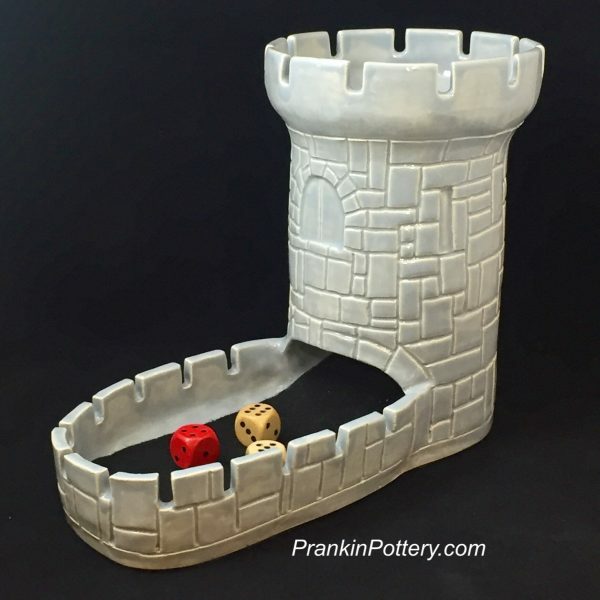 The tower contains hidden bafflers or ledges to sufficiently and randomly tumble the dice and provide a pleasant “plinking” sound as the dice roll down. 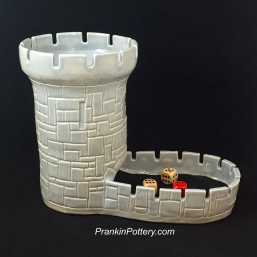 The dice come to rest in the felt-cushioned walled tray, preventing them from rolling all over the table. The underside is also lined with felt to prevent damage to the playing surface. and strong and should last a very long time with regular and careful use regarding its ceramic nature. Since these are individually made to order by hand there will be some variations in the basic design, size, shape, and color from the featured photos. Delivery: Please allow 4 – 6 weeks as each tower is made to order. For more information or order details please Email me via the contact link on this website. New items are listed every week so please check back again.